Has American motocross ever seen this many major team changes during a single off-season? 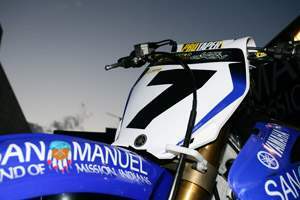 The three biggest names in our sport today have made major moves, as AMA 450 MX champ James Stewart has jumped from Kawasaki to Yamaha and from Fox to Answer gear. 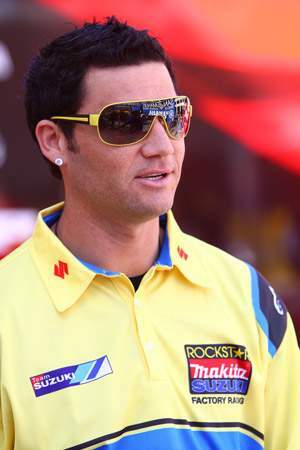 AMA SX champ Chad Reed has switched to Rockstar/Makita Suzuki, but he’s still wearing Thor—as is AMA 250 MX champ Ryan Villopoto, who’s switching from Pro Circuit Kawasaki to the in-house Monster Energy Kawasaki factory team as he moves up to the 450 class. 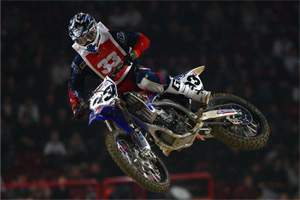 Also, Kevin Windham will be returning to AMA supercross in 2009 aboard a GEICO Powersports Honda, but he will not be wearing No Fear gear—a brand he’s been with throughout the last decade. Instead, K-Dub will be wearing MSR. The preseason favorite in the 250F class, Ryan Dungey, is going from Answer to One Industries gear, and he’s got new competition coming in the form of GP contenders Christophe Pourcel and Tommy Searle. Here’s an update on who’s riding what in 2009. If we missed someone, comment below.